#1 who’s invited and who’s not? #2 Which day will be your day? #3 Where are you popping the champagne ? Now you have figured out who’s coming and when they’re invited, but do you know where you want to organize it? If you like it to be more intimate, you can organize it at home. Don’t forget that you’ll be the responsible for cleaning everything up as well. But on the other hand you’re able to organazie everything just how you like it. Installing a photo booth for example can be easily done with Eventer! Just download it on a tablet and you’re all set! #4 How to really stand out ? You only have one birthday per year, so make it count! We cannot stress out enough that you should really be doing what you like. Whether you want to skydive or to ice-skate, just do it! Or be even more creative and play bubble soccer! Make sure you capture all the beautiful moments with your closest friends. 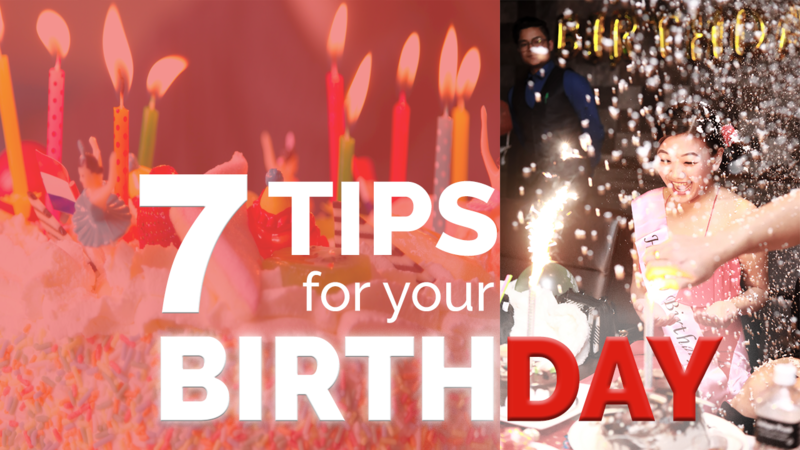 To do so, create a free album on Eventer which is dedicated to your B-day! #5 Where do we put the cherry ? If you want to unleash your inner baker, why not bake your own cake at home? You know it tastes better when making it yourself!